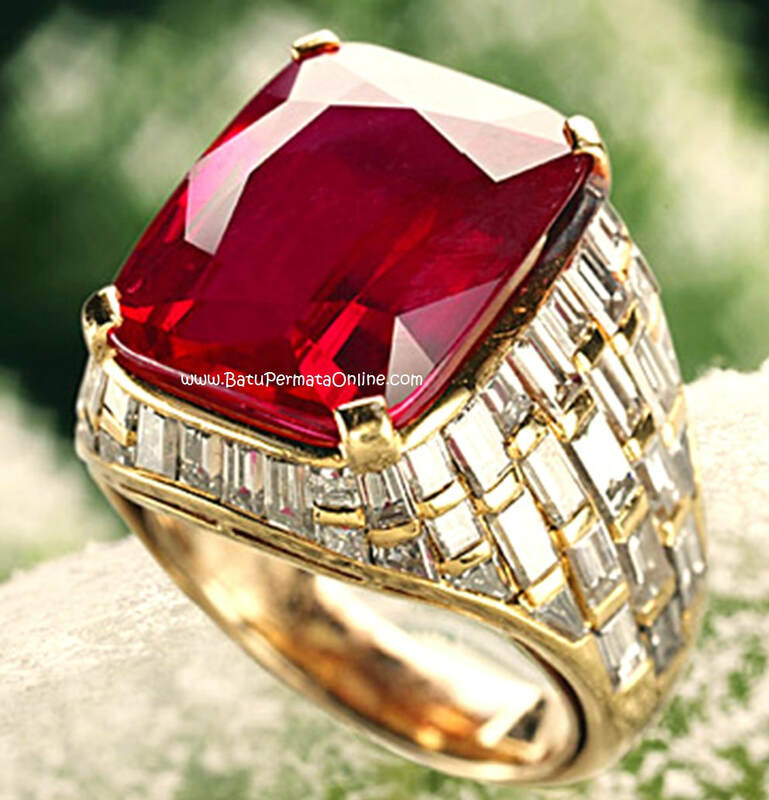 Ruby is known as "The King of Gemstones" King of Gemstones. This bright red gem is one of the best known gemstones in the world. Ruby also called Batu Merah Delima is a type of mineral Corondum. The word Ruby comes from the Latin word 'ruber' which means red. Burmese Ruby is quite rare and expensive. Larger transparent rubies are very rare, far rarer than diamonds. Some rubies have a deep red color, this is referred to as the pigeon blood red color. For thousands of years, Ruby has been considered one of the most valuable gemstones on Earth. It has all the must have precious stones: magnificent colors, good hardness and extraordinary brilliance. Besides that, it is a very rare gemstone, especially in its finer qualities. Ruby prices can range from $ 300 - $ 250,000 per carat. the most valuable ruby ​​is intense, red, large size (more than 4 C), quite clear and perfectly cut (faceted). Color: Ruby is the best fresh blood red, and is a very valuable stone. rubies also come in burgundy and dark red, or pink. Size: greater rust is ruby ​​gemstone, with a value that is more valuable and expensive. Rust ruby ​​with good color and clarity (Clarity) is quite valuable. Rubies are bigger than this which are rare and very expensive. Clarity: Natural Ruby Most have some cloud conditions or imperfections. very few really clear. Better quality rubies are transparent, and not opaque. Cut: The quality of cutting ruby's determines how well it shines. Perfectly cut rubies that are very valuable and hard to find. Treatment, Synthetic and Imitation (Treatments, Synthetics and Imitations): Almost all rubies are treated to improve clarity and color. Heat treatment is standard and widely accepted. The treaty that ruby ​​receives can affect value and quality additions. In the laboratory rubies are widely available and worth far less than natural rubies. Some dishonest sellers might try to sell fake rubies. Meanings and symbology (Meaning and Symbology): rubies / rubies have been sacred to many cultures for centuries.